Starting from Algund/Lagundo, it is possible to reach the most beautiful promenades in the region of Meran/Merano. Besides the splendid Tappeiner Promenades, certainly one of the most beautiful high-altitude promenades in Europe, offering enchanting views over the rooftops among luxuriant Alpine and exotic vegetation, you will find lots of water channel pathways nearby known as "Waalwege". 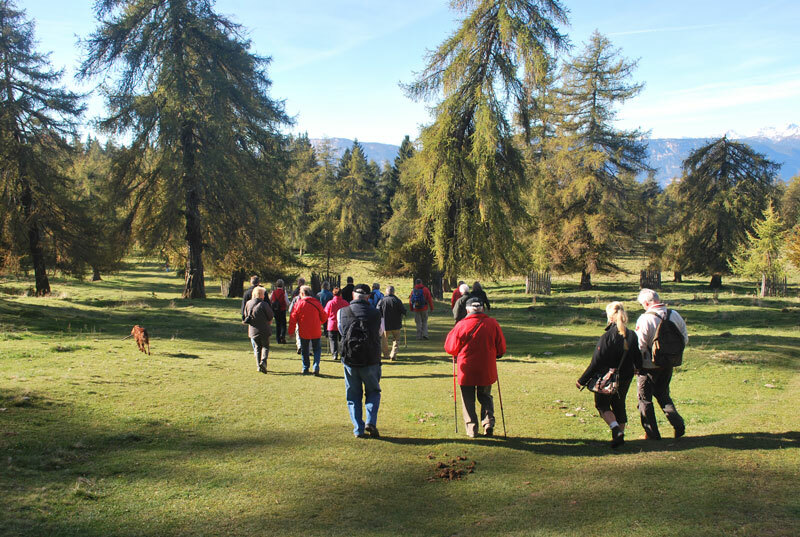 These offer beautiful walks with extraordinary views over the valley and the surrounding mountains and are accessible all year long.